Public officials’ qualifications, assets and business interests are subjects of public interest. Transparency International Georgia now presents to you the information on governors. Governors represent the executive branch of the central government in the nine regions of Georgia. They are appointed and dismissed by the Prime Minister of Georgia. The governors, under the instructions of the government, coordinate various measures, including an implementation of regional policies and different components of local self-governance reform. The governors also implement social-economic programs and participate in the development efforts of the regions. Our research has found that two out of eight acting governors are former high ranking officials of the Ministry of Internal Affairs, two – of Cartu Bank, one – a former employee of Cartu, charity fund. Notably, the position of the governor of the region of Guria so far remains vacant. the Governors of Kvemo Kartli and Imereti have not filled out the asset declarations in full concealing their companies shares which constitutes a violation of the Law on Civil Service. the Governor of Imereti still remains a director in a company where he holds shares. This is a violation of the Law on Conflict of Interests and Corruption in Public Service. Despite the very clear facts of violation of the law, the Georgian legislation does not provide for an effective mechanism to address such cases. Neither the Civil Service Bureau nor any other agency has the obligation to review and, if necessary, correct the asset declarations of officials or impose sanctions. We have raised our concerns about the issue on multiple occasions and have even developed a draft law to address the legislative gap. We hope that the Parliament will discuss the bill in the nearest future. Paata Khizanashvili is trained as an engineering economist. He has also graduated from the faculty of regional studies of the Tbilisi State University and the Tbilisi Institute of Patent Law. He has worked in the Ministry of Internal Affairs, the Ministry of Defense and the Ministry of Finances. He had been working in Cartu Bank just before being appointed at the governor’s position. 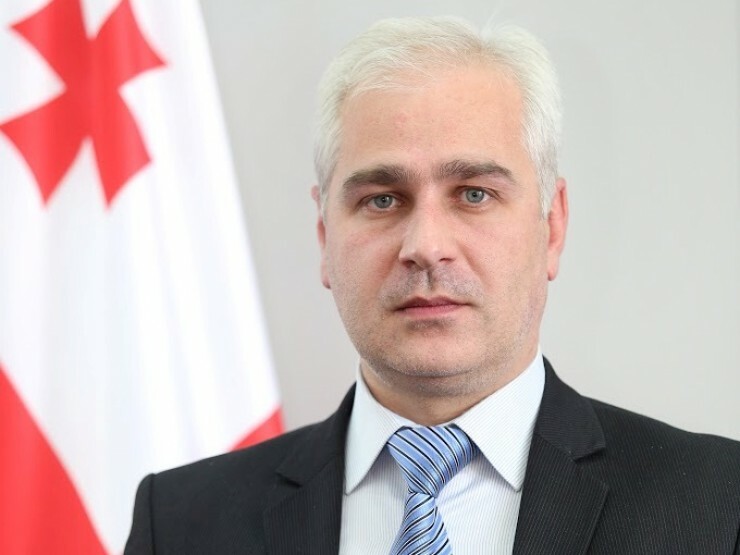 In 2006-2007, Khizanashvili was a deputy director of the economic security department in the Cartu Bank and the head of the economic security service. In 2007-2014, he was the head of the asset management unit under the loans department of the Bank. Since 2010, Khizanashvili has been a founder and vice-president of the Georgian Federation for Fudokan Shotokan Karate. According to the asset declaration Paata Khizanashvili provided in February, 2015, his assets include two apartments in Tbilisi as well as a parcel of land in the village of Lisi. 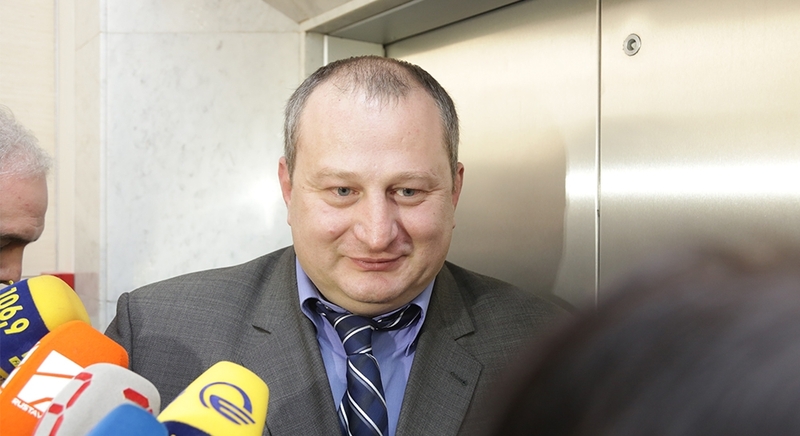 Paata Khizanashvili has not however indicated in the declaration that his wife, Svetlana Elbakidze, is the 100% owner of Kabrio LLC (R/C: 204888719) and is its director as well. 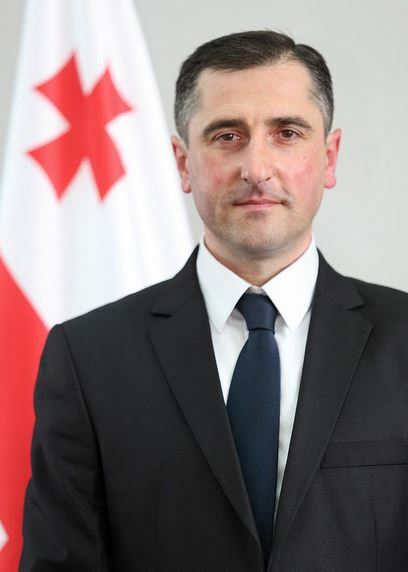 Givi Chichinadze was appointed to the position of governor of Imereti on 23 February 2015. Before, he was gamgebeli of Vake district in Tbilisi. For years Givi Chichinadze has been a singer and soloist of the ensemble Georgian Voices. According to the asset declaration Givi Chichinadze provided on 3 October 2014, he and his family own four apartments in Tbilisi, one apartment in Adigeni and one house in Ambrolauri. He also owns a car - a Grand Vitara. Based on the data of the Public Registry, Givi Chichinadze remains the 10% owner of Gross Tour Georgia LLC (R/C: 400104203) as well as its director. This violates Article 13(4) of the Law on Conflict of Interests and Corruption in Public Service which bars officials from holding a management position in an enterprise. He is also a member of the board of directors in a rugby club Kochebi (R/C: 202163434) and non-profit Georgian Voices (R/C: 401988159). However, he has not declared these facts in the asset declaration. 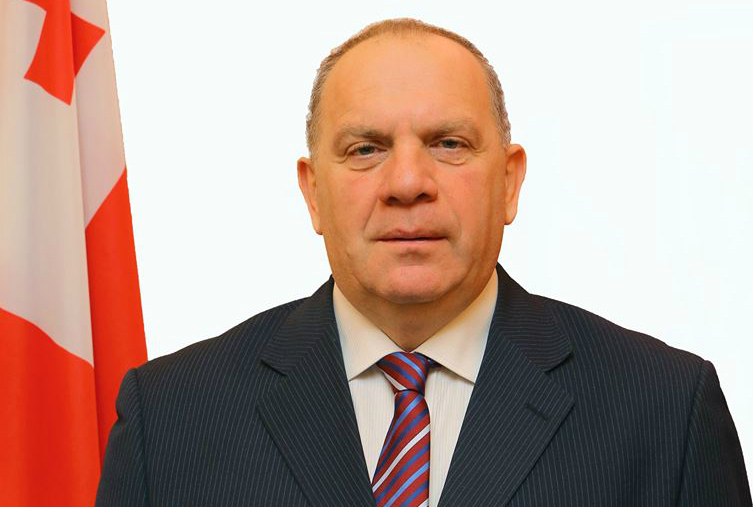 Zurab Rusishvili has been the governor of Shida Kartli since 13 December 2012. In 1999, he graduated from the Georgian Technical University, having specialized in foreign economic relations and air transport management. In 1999-2001, he worked in the United Georgian Bank. In 2002-2004, has was a deputy director of the Rustavi branch of Cartu Bank. In 2004-2008, he was a head of customer service center of the same bank. He was the head of Gori service center of the bank during 2008-2013. Just before being appointed governor, he was the manager of the central service center of Cartu Bank. According to the asset declaration Zurab Rusishvili provided on 17 February 2015, he owns an apartment, measuring 59.7 sq/m, in Tbilisi as well as a BMW X5 manufactured in 2003. 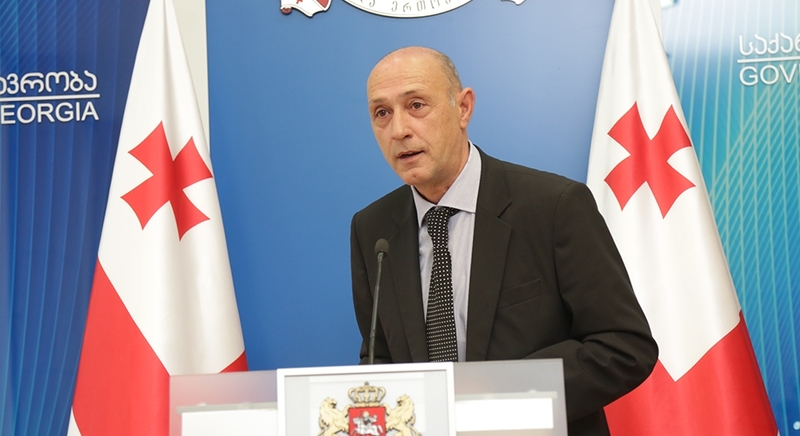 According to the data of the Public Registry, Zurab Rusishvili and his family do not have company shares. Irakli Shiolashvili is a lawyer by profession. He graduated from Tbilisi State University of Economic Relations. In 2005-2012, he worked in various departments of the Ministry of Economy and the Ministry of Finances. Before taking the governor’s position on 13 December 2013, he was an incumbent gamgebeli of Dedoplistskaro municipality. According to the asset declaration Irakli Shiolashvili submitted on 26 January 2015, he owns a residential apartment, measuring 120 sq/m, in Tbilisi as well as a parcel of land in the village of Chanadirebi, Dusheti municipality. Tamar Shapatava, his wife, owns an apartment, measuring 17 sq/m, in Tbilisi. Irakli Shiolashvili also has a Mercedes Benz manufactured in 1996. According to the data of the Public Registry, Irakli Shiolashvili and his family do not have company shares. According to the information published on the official website of the Government of Georgia, Nugzar Kipiani graduated from the Institute of Theatre in 1982. In 1991-1995, he studied at the Center for the Study of Psychoanalysis "Mentsari". He is a director of several documentary films. In 1995-1997, he was working in the charity fund Cartu. In 1997-2002, he was an art director of television channel “TV9.” In 2003-2004, he was the program manager of the television channel “Mze”. In 2007-2009, he was a deputy director of the public school No. 161. In 2011-2013, he was an advisor of the Director General of television channel “TV9.” Before being appointed to the position of the governor, he was the head of election office of the Georgian Dream in Tkibuli. According to the asset declaration Nugzar Kipiani completed on 10 February 2015, he and his family own two apartments in Tbilisi as well as parcels of land in Ureki and Tianeti. According to the Public Registry, Nugzar Kipiani and his family do not have company shares. Levan Shonia was appointed governor of Samegrelo-Zemo Svaneti in December, 2013. According to the information of the official website of the Georgian Government, he is a lawyer by profession and has taken training courses in the U.S. In 1981-2004, he was continuously working in the Ministry of Internal Affairs. In 1995-2004, he was the head of G. Gulua Special Police Division. 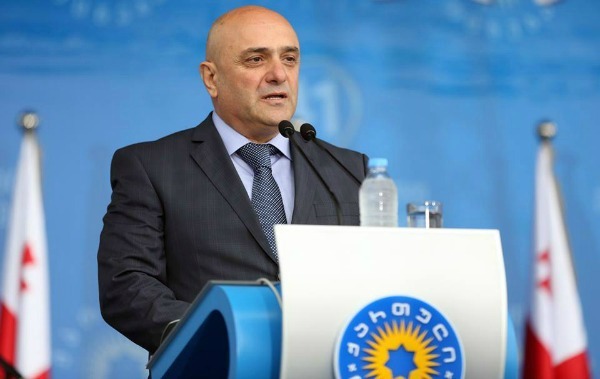 Before being appointed governor, he was working as the head of the regional division of the MIA in Zemo Svaneti during the period of 2012-2013. According to the asset declaration provided on 11 December 2014 and the Public Registry, he and his family do not own any property or company shares. Parmen Margvelidze was appointed as the governor of Racha-Lechkhumi and Kvemo Svaneti in 2013. By profession, he is an economist and mechanical engineer. Before being appointed as the governor, he has worked in various departments of the Ministry of Finances of Georgia. He held the following positions in the following periods of time: 1998-2001 – employee of the Chamber of Control; 2002-2003 - head of the majoritarian MP bureau of Ambrolauri; 2003-2004 - head of Ambrolauri district tax inspection department; 2004-2011 - head of the Ambrolauri service center of taxpayer service division of Kutaisi Regional Center (Tax Inspection). 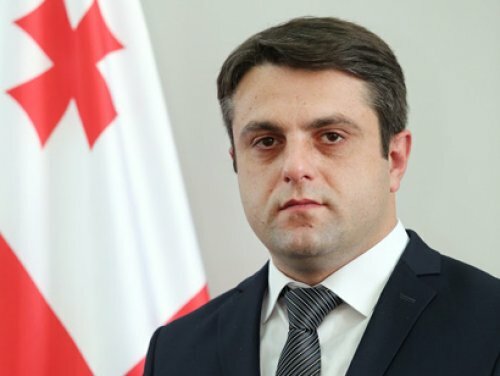 Since 2011, before being appointed as the governor, he has been working on various positions in the Internal Revenue Service of the Ministry of Finances of Georgia. According to the asset declaration provided by Parmen Margvelidze on 14 February 2015, his father, Giorgi Margvelidze, owns three houses and three parcels of land in Ambrolauri. Pikria Tsverava, his wife, owns an apartment, measuring 60 sq/m, in Tbilisi. No company shares are registered with the Public Registry under the names of Parmen Margvelidze and his family members. Akaki Machutadze was appointed as the governor also on 13 December 2013. He holds a master’s degree in foreign economics. In 1996-1998, he completed a course on state security. He has also taken a training course in Egypt, specifically in the Egyptian Police Academy of Hosni Mubarak in counter-terrorism. In 1996-2007, Akaki Machutadze held various positions of the senior operative official in the Ministry of Security of Georgia. Since 2004, he has been working in the Ministry of Finances in various posts including in the Financial Police. In 2007-2009, he was the head of the Operational Group of the Security and Control Department of the People's Bank. 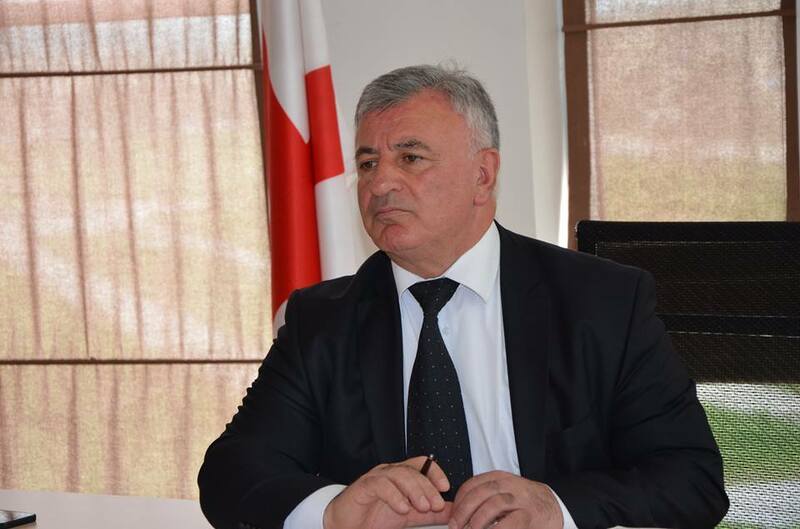 Before being appointed as the Governor of Samtskhe-Javakheti, he was the head of the Regional Division of the State Security Agency of the Ministry of Internal Affairs. According to the asset declaration of Akaki Machutadze, dated 14 August 2014, he owns an apartment, measuring 75 sq/m, in Tbilisi as well as a parcel of land in the village of Chkvishi, Vani municipality. According to the Public Registry, Akaki Machutadze and his family do not own any company shares.